Make sure the tyres you choose for your journey are the right ones that provide excellent performance and have high wear resistance. 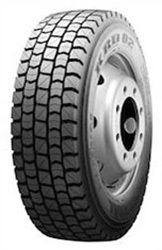 Marshal’s KRD02 Longmark tyres are a perfect example of tyres with extra support for heavy weights while providing a stable drive and responsive steering that makes every journey easier and more comfortable. No matter how long you are travelling for, having confidence your tyres will last is important and you can find this with the KRD02 Longmark tyres.